Sometimes when something tragic happens in the United States, Chinese media (including Taiwan and Hong Kong) will jump at the chance to somehow relate it to something happening in China, Taiwan and Hong Kong. 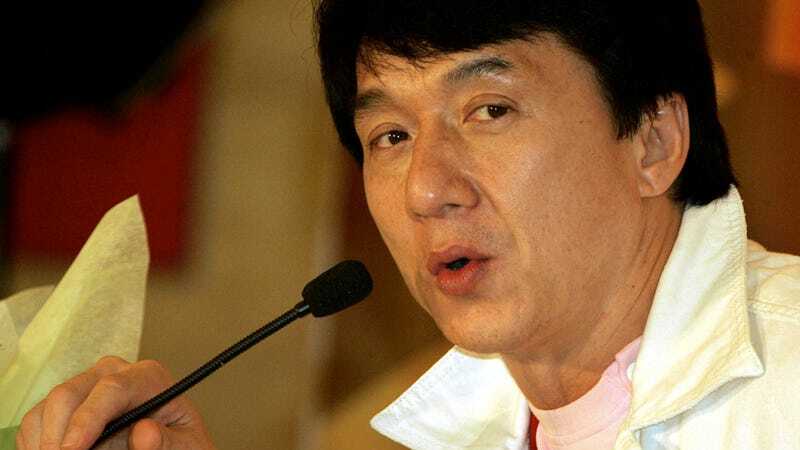 Despite the gravity and the horror of what happened last Friday in Colorado, the Chinese media have done it again, this time linking Chinese movie star Jackie Chan to the tragedy. Allegedly, Jackie Chan said he was almost at the theater in Aurora. According to Hong Kong's Oriental Daily, Jackie Chan has going the rounds talking about how he escaped a near death experience in Aurora. Oriental Daily reports that Chan was allegedly invited to for the premiere of The Dark Knight Rises in Aurora, Colorado but work obligations got in the way and he had to return to Beijing. Taiwan's China Times reported that while Chan expressed grief and shock over the incident he seemed to be more worried about how the upgraded security will affect the premiere of his own upcoming movie Chinese Zodiac . This is the first we've heard of Jackie Chan appearing at the Aurora theater—your typical suburban theater—for a premiere. Why would Chan, a worldwide star, appear at this theater? More importantly, if Chan is actually going around saying this, perhaps he can explain.